101 For them that have no taste in meat or drink Take a pottle of Clear water and a good handfull of dandilion and put it in an Earthen pot and boil it till it comes to a quart then take out the hearbs and put in a good quantity of white sugar then put it intp a vessel that it may cool. Then take twenty almonds blanch them and beat them in a morter. 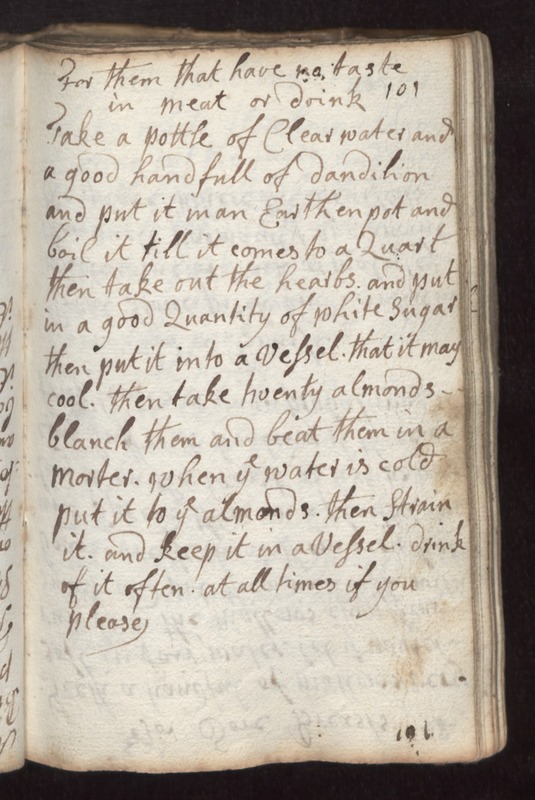 When ye water is cold put it to ye almonds then strain it and keep it in a vessel. Drink of it often at all times if you please.